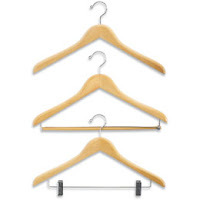 Are those wooden hangers as skinny as they look? My experience is that those white (dare I say the word here chez Lil) plastic hangers allow one to fit a few more clothing necessities in the closet until he can have his own. This is something very few people know about me, but I have been organizing my closet this way since high school. 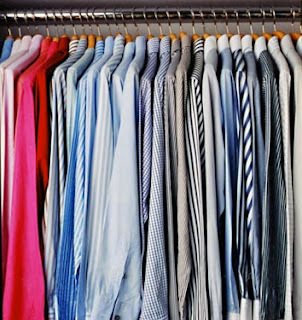 To take it further, within each color section I order the clothing by skirts,shirts,pants,and finally dresses so that visually the shortest garments are first with the longest being last. I guess I just came out of the OCD closet!